A specifically formulated blend of targeted minerals, botanicals and fat-soluble carotenoids in a base of probiotics, Clear Skin Complex Veg Caps offers hope to those looking for a clear, fresh-looking skin. Zinc conributes to the maintenance of normal skin. Take alongside 100% Clear Skin Omega Oil for optimum skin results. Inspired by the 'Clear Skin Cookbook' written by The Medicinal Chef, Dale Pinnock. 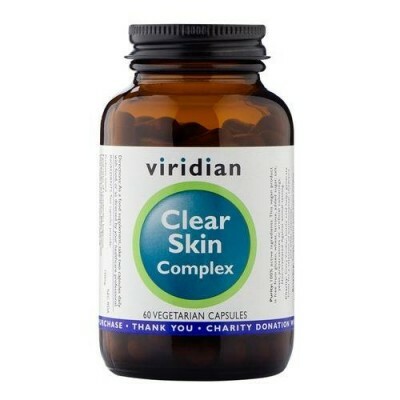 Click the button below to add the Viridian Clear Skin Complex 60 veg Caps to your wish list.